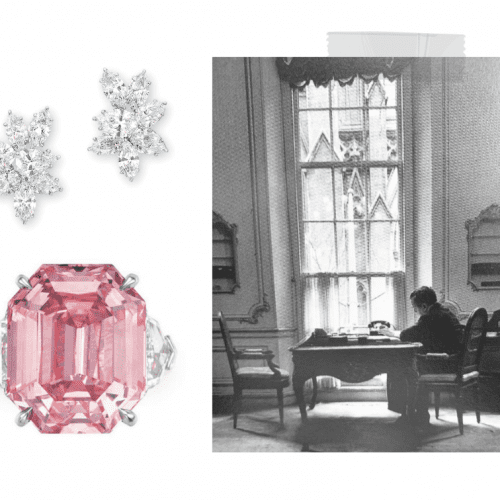 Harry Winston is the original King of Diamonds & Jeweler to the Stars. 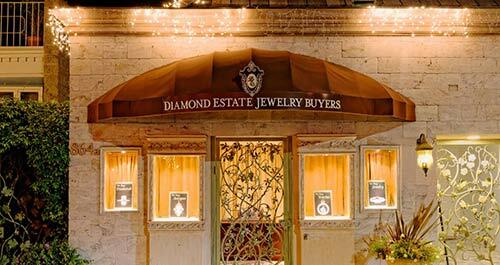 Contact Diamond Estate to learn why sellers nationwide have chosen us as the best place to sell a Harry Winstion diamond ring and fine jewelry. Known as the original “King of Diamonds” and “Jeweler to the Stars,” Harry Winston is one of the most well-known jewelers in the world. He was famously referred to in the 1953 musical film Gentlemen Prefer Blondes in a spoken aside: “Talk to me Harry Winston, tell me about it!” As an innate gemologist, he spent a lifetime acquiring some of the most famous gemstones in the world, including the Jonker, Hope, and Winston Legacy Diamonds. 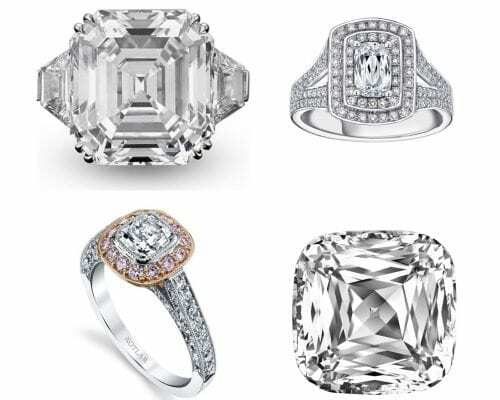 With such a stellar history, it is no wonder that Harry Winston diamond rings, earrings, and necklaces are among the items that Diamond Estate Jewelry Buyers makes the highest cash offers for — relatively speaking. The extra brand value that the name “Harry Winston” adds to a piece of estate jewelry is considerable. Thus when choosing a jewelry buyer for your Harry Winston creation, you want to be sure that they have solid track record in dealing with items from this prestigious design house. Diamond Estate is one of those professional buyers. Our owner Carl Blackburn has over 30 years of experience dealing in expensive estate jewelry. We regularly purchase diamond jewelry from Harry Winston that is valued into the 5 and 6 figure range. Regardless of the particular Harry Winston item that you would like to sell, we would gladly discuss it with you. 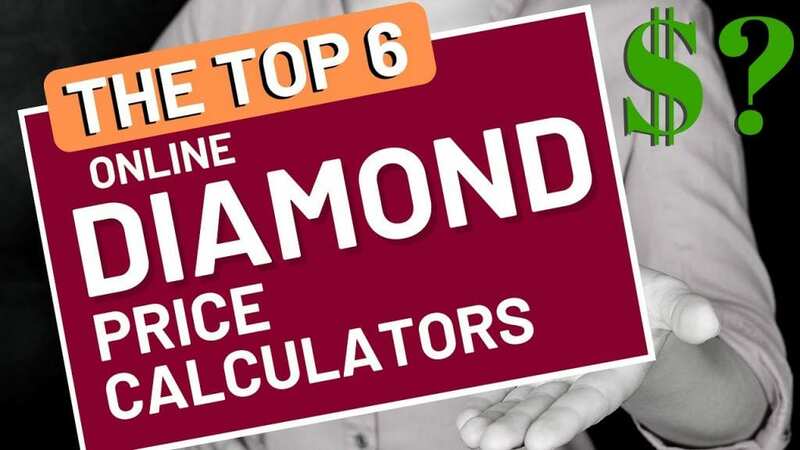 Diamond Estate isn’t here only to make you the best possible cash offer for your piece, but share with you any knowledge that we have about it. So that you can make a comfortable and informed selling decision. Contact us now for a free consultation, or to receive a free Harry Winston market appraisal. I worked with Paula the most and she was great. Very patient, very kind; answered all my many questions. Received agreed upon payment extremely fast, as promised. It is scary to send read more jewelry in the mail, but everything worked as I was told it would. I would do this again. I had never sold anything online before, so was a little nervous about selling my Rolex. Based on Yelp reviews, I visited DEJB’s website and was pretty impressed. Worked with Paula read more to text some pics and got an estimate within hours. I got estimates from three other places and DEJB was right in line with two others, but was a touch higher. Based on the great customer service, I went with DEJB. Once I said I was in, Paula got me the prepaid, secure, insured shipping information within hours. Once received, they let me know my Rolex was as described and wired the full amount immediately. What else can I say? Fast, secure, friendly, fair – what more can you ask? My name is Ron Hazel and I recently completed some business with Diamond Estate Jewelry Buyers. I found them to be very professional and straight forward. Paula Dabney did exactly what read more she said she would do and precisely when she said she would do it. She made it easy to understand the value of my jewelry. In this uncertain world we live in it’s nice to work with a company that is trustworthy and expedient. We contacted Carl to sell approximately 25 pieces of estate jewelry. He was extremely responsive and followed up the same day. His secretary was fantastic getting us an appointment read more quickly. Carl spent a long time explaining the pricing, appraisals, value, and process and made us feel very comfortable selling to him. We are extremely pleased with the entire experience and will definitely recommend him to others! 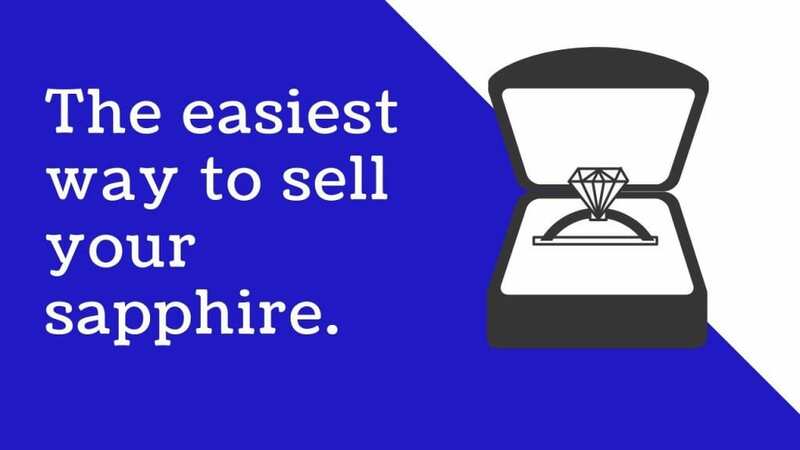 I can’t express how much Diamond Estate Jewelry Buyers’ employees will go to bat for you. Over a period of 2 weeks working with them on a piece of jewelry and a watch, I truly felt read more they understood the way my wife and I felt about those two pieces. I especially want to thank Paula and Jacqueline for going above and beyond to get us the cash to make my wife’s dreams come true. Thanks again to Paula and Jacqueline for a job well done. While selling an engagement ring is never an emotionally fun experience, it was finally time to give it a new life. Working with Paula made the process so much easier. She is very professional read more and responsive, and showed a lot of empathy when I got misty-eyed on the phone. While I’ll admit to having been nervous about shipping my engagement ring off based on a few emails, the process went very smoothly. I was provided with an insured shipping label and instructions for packaging. I received a reasonable offer for my ring the day it arrived at their store. 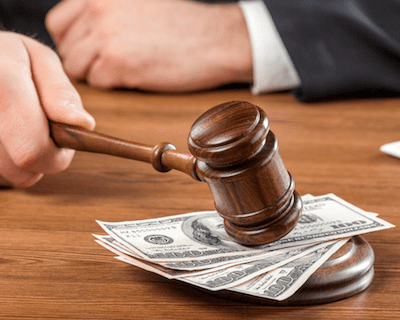 The transaction was settled exactly as agreed, and within hours of my giving final word. 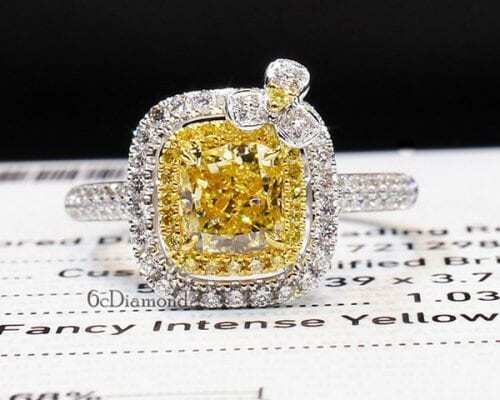 There is absolutely nothing to be concerned about in dealing with Diamond Estate Jewelry Buyers via the web, and I would gladly use them again. I inherited a vintage Rolex. About 40 years old. Though I didn’t have the original paperwork or box, DEJB were open and interested in working with me. Paula Dabney was EASY, accommodating, read more knowledgeable and comforting during the process. The initial price she quoted me was the price we ultimately agreed on after inspection. The process was quick and efficient and any concerns or questions I had were answered promptly all along the way. I’d recommend checking out these folks if you’re interested in selling watches and jewelry. This company was excellent to deal with and very fair on their offer. Paula Dabney took care of my transaction and kept me informed of everything. 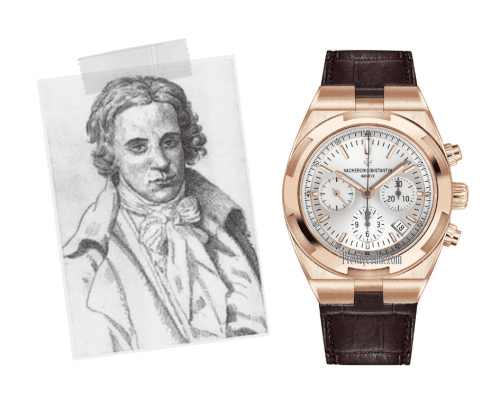 The money was wired to me within an read more hour after the received my watch. I highly recommend this company. I’m so happy that I found this amazing jeweler! The easiest and fastest transaction I’ve had. I sold my Cartier Roadster to them in 24 hours I had the money wired into my account. read more They are pleasant and honest people who will take good care of you! I highly recommend them! Extremely professional, kind, and intelligent staff. I felt confident selling my diamond ring because Paula and Jackie were honest, sincere, and communicative and made the process easy. read more I was indecisive because of the sentimental attachment to the ring but they were very patient and understanding. They didn’t just give me the quote, they answered all my questions and helped me to understand the specific reasons for the value of the diamond. I needed the money for medical bills for my daughter and it was nice to deal with people who I felt really work hard at, and care about getting the best price possible for the customer. 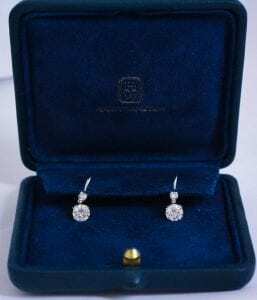 Harry Winston earrings recently bought by Diamond Estate. 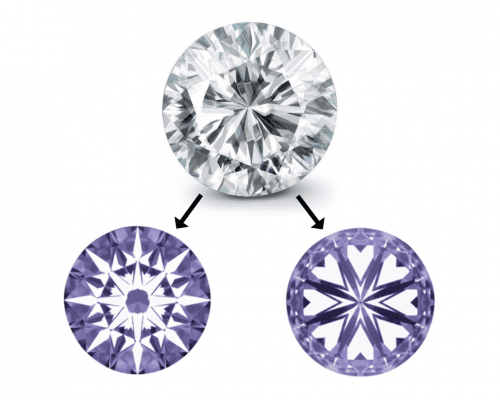 Harry Winston was also famous for his diamond cutting. His first important purchase, the Jonker, was a 726-carat uncut rough diamond. Its famous cleaving resulted in in twelve individual stones, the largest weighing 125.35 carats. In 1969, Winston was broadcast on live television cleaving the 601-carat Lesotho Diamond. 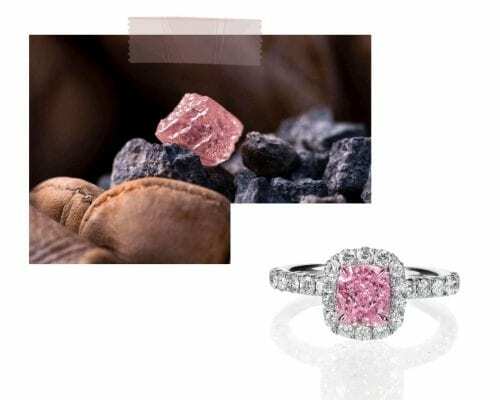 The Lesotho eventually produced eighteen gems, including a 71.72-carat emerald-cut and a 40.42-carat marquise-cut diamond purchased by Aristotle Onassis as an engagement ring for Jacqueline Kennedy. Are you ready to sell your Harry Winston jewelry, confident that you are receiving the absolute best possible cash offer? 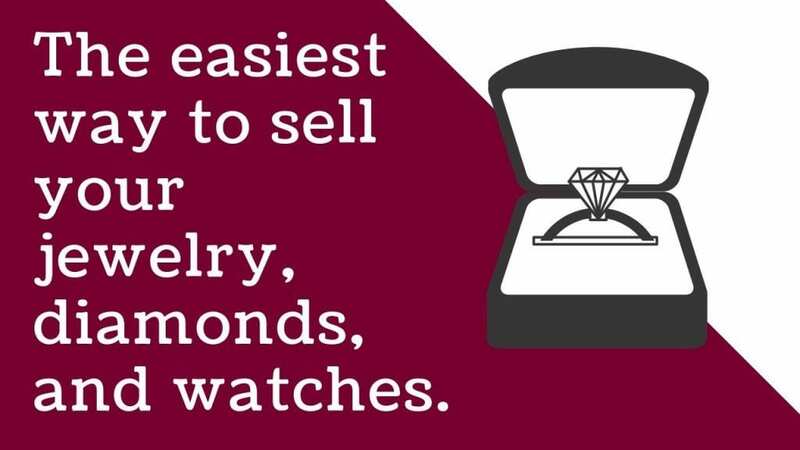 Then contact Diamond Estate Jewelry Buyers today. We pride ourselves in dealing with potential clients in a friendly, pressure-free manner. You can be assured that we will fully answer each and every question you have, as well as explain exactly how we have arrived at our cash offer for your Harry Winston diamond ring, necklace, bracelet, or earrings. A few names of prominent Harry Winston jewelry and watch collections from which we purchase items include: The New York, Lily Cluster, HW Logo, Sunflower, Diamond Loop, Belle, Traffic, Lotus Cluster, Pirouette, Midnight, Opus, Avenue, Ocean, and Premier.